Have you ever thought of trying something new? Have you ever considered doing something completely different and unusual? Has anyone ever told you to just forget it? Well, Jim Carrey’s story will make you smile. For those of you who don’t know him, he is an American-Canadian actor and comedian. Carrey is known for the many movies he has starred in – such as The Mask, Dumb and Dumber, How the Grinch Stole Christmas, The Cable Guy and many more, but how many of us know that he is a prolific artist? It’s true! In addition to his funny antics as a child, he would spend time drawing and making art. Later in his life he began painting to help him deal with difficult things. He certainly had his fair share of sorrows. In 2012 he began to share his artwork with the world through twitter. He was advised by critics not to share his art because he was known for his acting, not art. His response: that year he had his first gallery show. 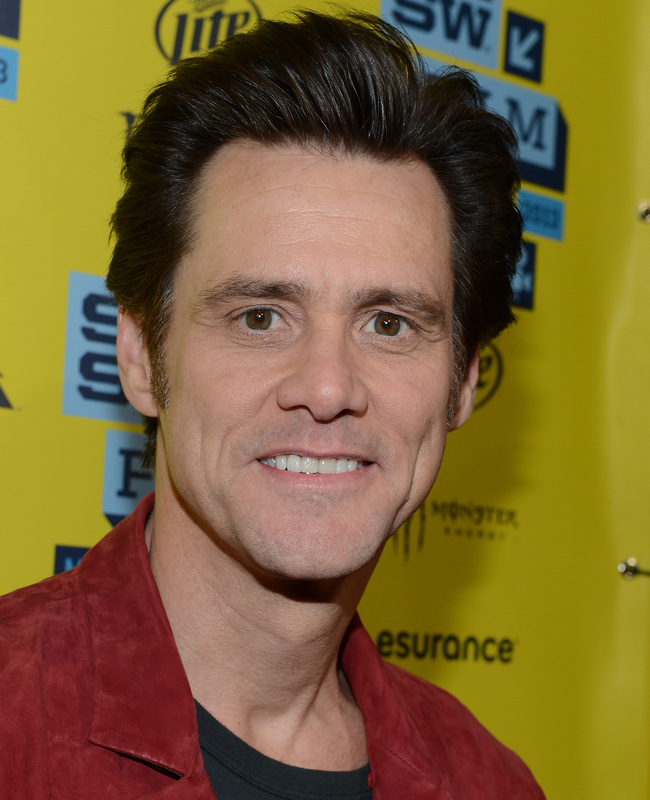 In 2013 Carrey continued on with his directing and also starring in movies. He also spent time painting and even wrote a children’s book titled “How Roland Rolls” – a tale about a little wave. In 2015 his personal life took another downturn when his ex-girlfriend committed suicide. The art helped him through another emotional time. He explained that one winter was so bleak that he felt like he really needed color and so began painting obsessively with color until his home was filled with paintings. There were so many paintings that there was no place to sit. The colors represent the things he loves and his inner life is reflected in his paintings. He explains that his artwork reveals things about himself he didn’t understand. Still, Carrey is happy he didn’t take the negative advice and keep his art to himself. He has a short documentary video on his art and the role it fulfills for him which you can find online by just googling Jim Carrey – I Need Color. Carrey believes art is merely a model of your inner life. 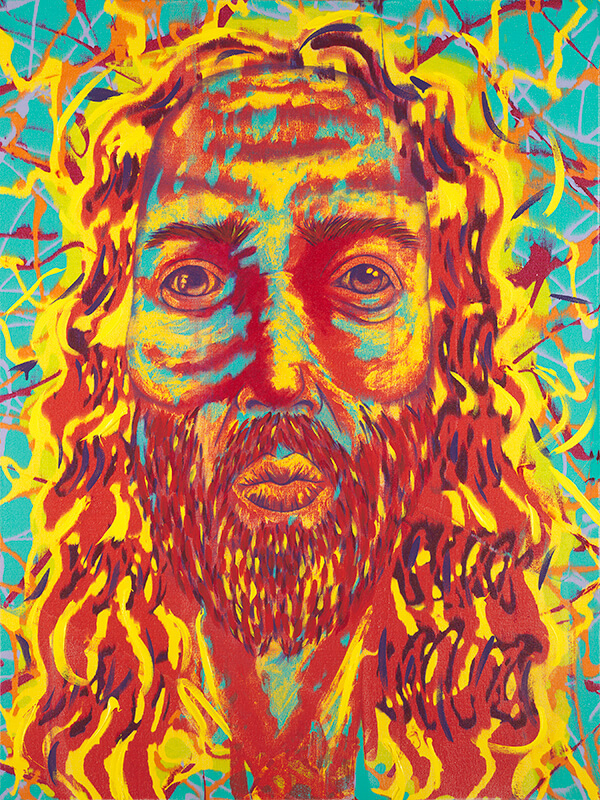 He describes his Jesus paintings as full of electric energy with healing accepting eyes. He says he uses many colors because you can find every race in the face of Jesus. Jim Carrey doesn’t know if painting really teaches him anything but he does admit to it freeing him. The bottom line of it for him is love. Whether its performance, sculpture, art we all want to show ourselves and be accepted for who we are. 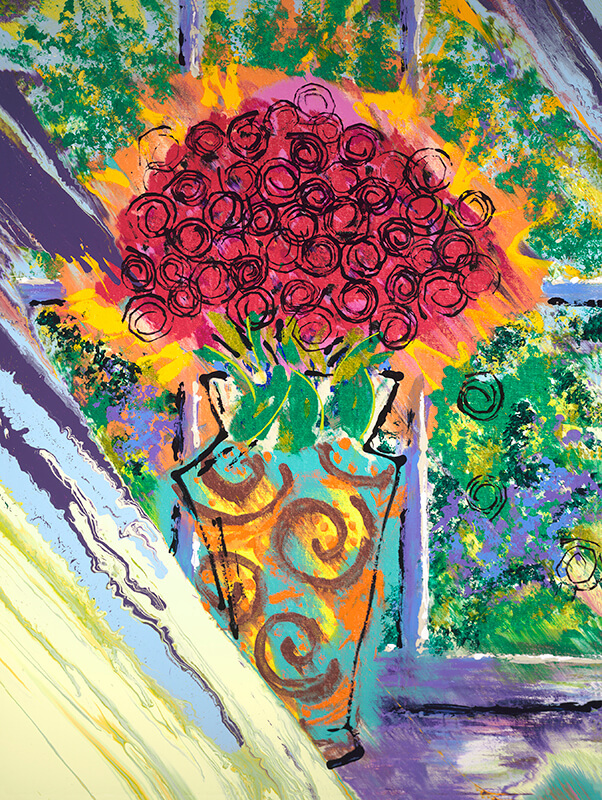 Artists are known for creating all kinds of odd and wonderful things, so it’s not a surprise to see art using Tyvek®. DuPont™ produces Tyvek® which is best known for its application as housewrap. It is used to protect the walls of a home from moisture. Tyvek® is also used in medical packaging, protective clothing and now in all kinds of art, jewelry and more. Ula Einstein is an artist living in New York City who creates with Tyvek®. She first started working with Tyvek® in 2008. Einstein usually starts her process with cutting the Tyvek®, then uses a variety of techniques including: painting, scorching, piercing, crumpling, searing, drawing out and layering. All these, result in innovative works that are a cross between paintings and sculpture together. Her works titled “Hybrid In(ter)ventions” exhibited at the FLUX Art Fair 2015 in NYC. Other artists who create with Tyvek® include Taiko Chandler, and Susan Greer Emmerson, Tom Sachs, Kathy McCreedy and more. If you are looking to try your hand at creating with Tyvek®, it can be purchased online by roll (22”x84”) for approx.. $9.99 from ebay, etsy, amazon and also www.hollanders.com which sells bookbinding supplies. A fellow artist approached me recently bemoaning that his drawing wasn’t as he would have liked it. When I asked him why he didn’t like his drawing he explained that it had been done using a photo reference rather than sketching it “en plein air”. In my opinion, drawing from a photo is certainly better than not drawing at all. But without the right approach it can be a sad experience with drawings and paintings that look flat, lifeless and soulless. So how do you keep your drawing or painting from lacking soul? First, have a positive attitude and then an open mind. What are you feeling as you draw this? What senses are affecting you during the drawing process? What is it about this particular subject that you want to communicate to the viewer in your drawing? Another thing to consider is what the photographer has already done in the photo. How have they already edited the scene and what can you do to make it your scene rather than just a repeat of what the photographer created? What else can you bring to this drawing that would make it fresh and spice it up? Edvard Munch (1863-1944), the Norwegian artist whose art covered themes of love, death, isolation and pain had developed his own style. Although he had health issues, particularly in his younger years, he painted almost every day. His last thirty years he spent mostly in isolation, producing a phenomenal amount of work (around 1,100 paintings). His paintings were constantly changing and he often would repeat paintings, changing subtle things each time. Munch is considered a unique artist due to his fluidity, meaning his style was changing from day to day and period to period. Not all of his paintings were masterpieces and some of his most famously renowned paintings had critics who loved them and also critics who hated them. Although he was accused of copying the styles of Cezanne, Van Gogh and Renoir he denied it saying that yes, some of his techniques may be similar but his painting was unique and with these other artists, he was only related in time. Munch was both criticized and praised for his innovative “turpentine paintings” which allowed the canvas to be visible. He spent years developing his “turpentine paintings” techniques. Although he was aware of the influence of his contemporaries, Munch always remained faithful to his own style. Van Gogh must have felt a lot of satisfaction staring at a completed piece he had just finished. Maybe he felt sad that he wasn’t a financial success but I bet he felt the excitement of completing a good painting. Van Gogh sold only one painting while he was alive yet he produced 900 paintings and over 1000 amazing drawings that we enjoy today. It doesn’t seem like he was discouraged enough to give up on the art. It seems Van Gogh created with drive and passion.